The last match in the season for the Seagulls ended with a small 2-1 defeat against Basingstoke Town on the 25th of April. Watkins scored the only goal for the Seagulls in the overtime of the first half, whilst Basingstoke town managed to swipe into the lead by scoring 2 goals in the second half of the match. The Seagulls finished this season with an average 17th position on the league table with a point score of 44. Bromley won this year’s early league with a score of 77, and Staines town came last out of the 21 teams with a low score of 25. 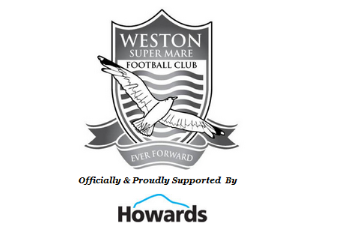 We look forward to to see what the upcoming season brings for the Weston super Mare team, who will start to play again in mid-summer! So far, April hasn’t been very successful for the seagulls who lost a 2nd match this month. The match against Bromley on the 18th of April, saw the team lose by 3-0 which gave Bromley an impressive 3 points to see them hit the top of the league. With only one more match to go this season, we only hope that the Seagulls maintain their current spot on the league table. The home match against Maidenhead United on Saturday 11th of April wasn’t a huge success for the Seagulls, who failed to score a goal against the opposition. Maiden head took the lead with 2 goals, which gave them a three point boost. Maiden are slowly moving their way up in the league table, and could potentially overtake a few other teams before the season ends at the beginning of next month. Staines, who are currently at bottom place in the league with just 24 points, managed to gain a 2-1 win against the Seagulls on Monday April 6th. It was Grubb who achieved the only goal in the mid second half, which was overlooked by the 2 goals scored in the first and second half of the match by the opposing team. With 3 more matches to play this month, we will hopefully see the Seagulls win another game or gain a couple of draws to put them in with a chance of jumping up the league board beating Sutton United. Barnes achieved their first and only goal in the away game against the Gosport Borough, which was achieved in just 3 minutes. The Seagulls held the game only allowing Gosport to achieve one goal making them both draw 1-1. The one point gain has allowed the Seagulls to hold their 16th position in the league, catching up with Sutton United who have the same amount of points but a better goal difference putting them in a slightly higher position. At the home match March 7th, we saw the Seagulls triumph with one goal whilst up against Havant & Waterlooville. Striker Jamie Lucas snatched the win, as he scored both goals in the match in the first half, giving them the 3 points to move up in the league. Bath City lost to the Seagulls who had a 4-2 victory in the home match on March 10th, with Watkins scoring the first goal in 10 minutes and Fortune scoring the second in the overtime of the first half. Lucas and Tillson dominated the 2nd part of the match achieving another 2 goals. The Seagulls were defeated in the St Albans match on March 14th, who achieved a 2-0 win, giving them 3 points to move up in the league. Basingstoke Town defeated the Seagulls in their away match on March 17th, with a 2-1 win. Jamie Lucas achieved the only goal in the first half of the match. In the home game on March 21st, the Concord Rangers scraped the win with the last goal being scored in the 90th minute of the game, putting them into the lead with one goal and taking the 3 points needed to move up in the league. Whitehawk lost to the Seagulls on the 28th of March by one goal, which was scored by Watkins in the first 10 minutes of the second half. After the matches in March, the Seagulls have achieved 43 points in the league so far. Winning 6 of the 3 matches this month gave them 9 points keeping them at the 16th spot in the lead. Following a 1-6 home drumming at the hands of Hemel Hempstead and a 2-2 home draw with Eastbourne, the Seagulls took to the road in search of a valuable three points to kick start their campaign. Taking the tie 3-1, Weston emphatically ended the home sides 11 game unbeaten run and climbed to 16th spot in the league with 3 games in hand over teams above them. The Seagulls dominated the first half, taking a three goal lead after only 20 minutes that went unchallenged until the 2nd half, where Wealdstone came out a different side and snatched a consolation penalty. The New Year continues to favour the brave as Weston took all three points against Chelmsford City with a 3-1 victory. Heading into 2015 in desperate need of a good run of results, the ‘Gulls took the lead in the 19th minute with an Ash header after a fortunate deflection from an Oliver Watkins shot. In the second half the home side continued to pressure and were rewarded with another goal 10 minutes before time as Grubb powered in a low shot into the bottom corner. A third followed in stoppage time after excellent work from substitute Joe McClennan who cut back for Ash to grab his second. A stoppage time penalty dispatched by Swayer proved only a consolation for City as Weston march on into safety. Looking to bounce back from a New Year’s Day derby defeat against Bath City, The Seagulls faced a battling Sutton United in a lower end of the table clash. The away team paid for missed chances as Weston took the lead and hung on in a late goal mouth scramble to take all three points and climb to 18th in the league, 2 points clear of relegation with a game in hand. Weston’s next game is at home again against Chelmsford City kick off 3:00pm. Following the close run 1-1 home point against 2nd placed Whitehawk last week, the ‘Gulls were brimming with confidence as they travelled to Ebbsfleet having stopped the rot that was beginning to threaten league safety. Travelling to the ‘Fleets home patch was never going to be an easy fete, especially as they continue to push for promotion at the opposite end of the table. However, an Oliver Watkins strike was enough to separate the two sides and Weston march on, now only 4 points from safety. Hoping to follow on from their emphatic 4-3 home victory in the league, the ‘Gulls crashed out 3-1 to Farnborough to end their Wembley dreams. Taking into account improved league performances are the more likely team preference at Woodspring Stadium at the moment rather than a trophy run, Weston won’t be so downcast with the result and look forward to a home clash with Whitehawk tomorrow to make the most of their 2 games in hand and continue to climb up the table. Coming off the back of a thrilling extra time victory mid-week against Bedford, Weston looked to carry momentum against 2nd placed Bromley. Unfortunately for the ‘Gulls the visiting sides perfect away record remained in-tact and Seagulls continue to prop up the Vanarama South. A first half strike from Damian Scannell in the 19th minute proved enough for the away side, although the Seagulls can take many positives from a spirited display against the high flying Bromley. Poor finishing was the only difference between taking the full three points with the final 10 minutes seeing multiple chances go array leaving the home faithful biting their nails. An inspired game for Brown in goal for the away side keep Bromley in the hunt for promotion this season whilst Weston look to bounce back tomorrow against Farnborough in a warm up for the FA Trophy Clash. Weston rebounded on a chilly December night to progress into the FA Trophy first round against a spirited Bedford side, putting their recent tough run behind them. Coming off a run of disappointing results in both the league and FA Cup, the Seagulls faced a tricky tie against the Eagles after a stalemate last week. It looked as though an upset was on the cards from the Division 1 Central side after Greg Ling finished superbly in the 82nd minute to beat Luke Purnell in the Weston goal. With the clock ticking, Weston turned the screw and eventually crafted a breakthrough with Syd Camper firing home in the 2nd minute of stoppage time to send the game into deadlock after 90(+) minutes. After each side held their own in the first interval of extra time, the Seagulls starting to take control with Dayle Grubb putting Weston ahead for the first time on 110 minutes. Seizing advantage of some tired legs, the ‘Gulls doubled their lead 5 minutes later after Jake Mawford was taken down in the box, with Grubb stepping up to convert the penalty kick to ultimately put the fixture to bed. Bedford were given a glimmer of hope in the 118th minute with a near post header by Ollie Wilkinson but Weston held on to leave Meadow Lane with the spoils and dreams of Wembley intact. Next up are Farnborough Town at home, with the full first round draw available here. Facing the league leaders having parted ways with Mickey Bell was never going to be easy, a fete almost made impossible after a lorry caught fire on the M25 causing massive tailbacks and a non-stop 4 hour trip. Delaying the Seagulls arrival and limiting preparations should have made for a nervy start but Weston played some fantastic flowing football that resulted in an end to end pace. Unfortunate to go in at half time 1-0 down to a goal conceded in added time, in the second 45 minutes Weston began to tire and Boreham capitalised, with a Lee Angol brace rounding of an excellent display from the home side, eventually running out 4-0 winners. Weston are away again on the 2nd December against 4th placed Basingstoke Town, kick off again at 7.45pm. Looking to take the fantastic FA Cup form to the table topping Hertfordshire side, The Seagulls aim to grab as many points as possible from the promotion chasing Boreham Wood. With the weekend home fixture cancelled against Whitehawk, Weston are in need of a good run of results to take them off the foot of the table and back into safety before the business end of the season. Kicking off at 7.45pm everyone at Howards Motor Group wishes the team the best of luck! The Pride of Somerset since 1887, Weston-super-Mare AFC currently campaign in the Vanarama Conference South from their 3500 capacity Woodspring Stadium. Never having to suffer the painful fate of relegation, a fierce rivalry with North Somerset based Clevedon Town continues to burn from their first ever game, continuing with the Seagulls gaining promotion to the Southern League Premier Division with a 1-0 victory at the expense of their foes. Proud winners of the Somerset Cup, most recently in a notable victory against Yeovil Town, Weston-super-Mare AFC have been on the rise for numerous years, finishing at all-time high of 7th last season and narrowly missing out on the playoff promotions. More recently, a 2nd Round FA Cup tie against Doncaster Rovers saw a record attendance of nearly 3000 supporters. The Seagulls are a true community team, with the previous stadium at Woodspring Park predominately funded and built by supporters.This tradition continues today and we are proud to be an official sponsor (and supporter! ).